Rest in peace Officer Nicholas Galinger. City of Alameda, CA Police Dept. Rest in Peace Officer Galenger. My heart aches just thinking about this whole incident. Goon too soon. Rest in peace brother. We have it from here. You came into this brotherhood later in life, but you answered your calling. We as a profession are better for having you as a brother! Thank you for your service yo the people of Chattanooga and to the people of Tennessee. Rest in God’s Peace Brother, we have the watch. our heartfelt condolences to the family (blood and blue) and friends of Officer Galinger. Rest in peace Brother Nicholas. Rest in peace Officer Galinger! 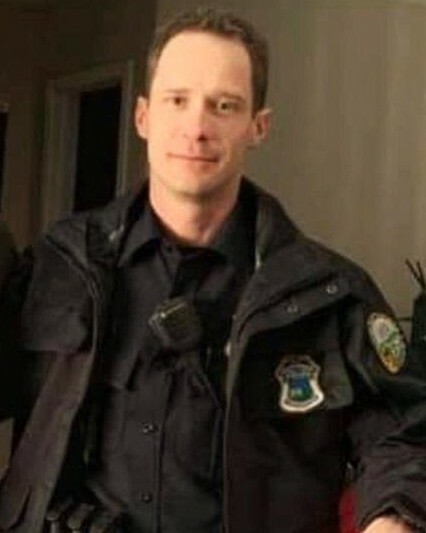 RIP, Officer Galinger. Praying for you and your loved ones. Rest in peace. My prayers are for the family strength. God Bless you Brother ! Rest In Peace. God Bless you Police Officer Nicholas Galinger ❤️, Rest In Peace. We are so thankful to you for your service, your devotion and your sacrifice. We are so saddened by this terrible news!! Our thoughts and Prayers go out to your family, and all of your sisters and brothers in Blue that protect us. God bless you all!! No matter for a month or 30 years, you were a police officer and I am proud to know you good sir. Thank you for your service to our state and nation. May the Peace of Jesus be with you and your family now and forever. Salute, good sir. Thank you for your commitment and service as a fellow police officer. Although your career was cut short, your memory will forever remain in the hearts of all of us. I pray for your family and friends as they mourn. I pray that God will lead them through this struggle and guide their hearts. Rest In Peace brother, we have it from here.